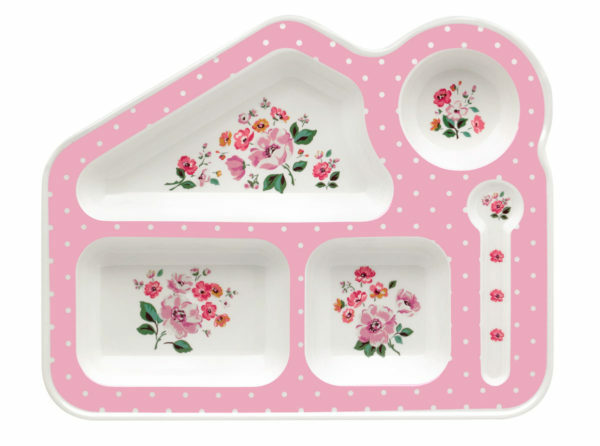 The new Cath Kidston kids' tableware will have your little ones eating up! 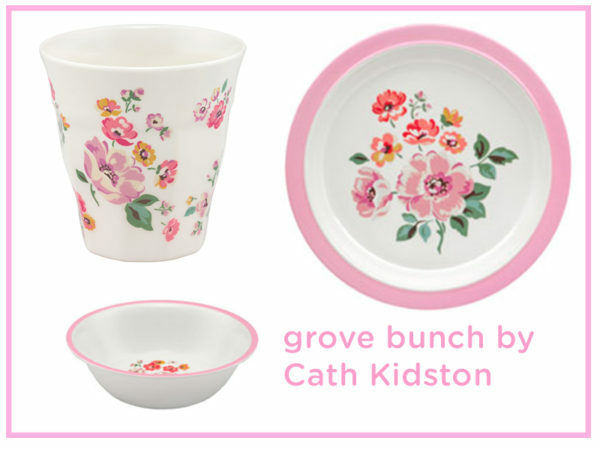 The new Cath Kidston kids’ tableware will have your little ones eating up! If you’re endlessly caught up in a toddler debate about why the blue bowl is better than the yellow one (for today at least) then maybe it’s time to take a step in a fresh dinnerware direction?! 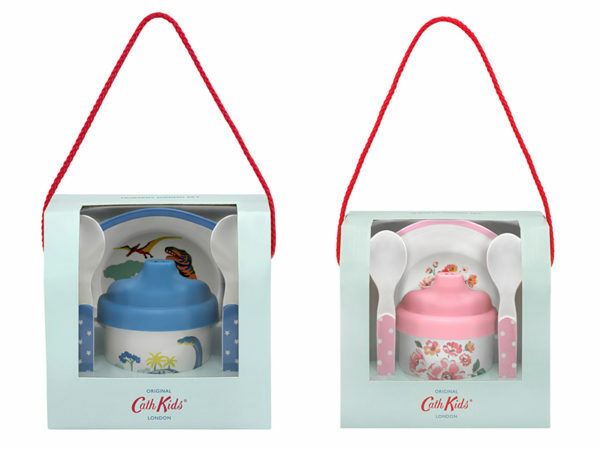 The good folk at Cath Kidston are making this strategy a whole lot easier, releasing a durable range of kids mealtime products that will have your child busting to eat their dinner! There are two different themes, to suit your little monster. For excitement and scary-tooth lovers, there’s a dinosaur adorned range. And for admirers of pretty things, there’s a gorgeous floral range. 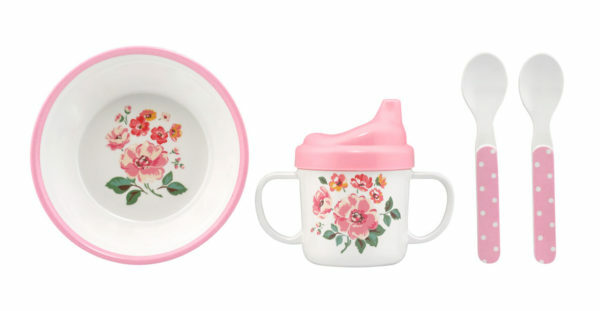 The Grove Bunch Melamine Nursery Set (above and below) comprises a bowl, sippy cup and two spoons. It’s dotted with pink flowers and polka-dots and comes cutely packaged in a gift box (hello, perfect gift!) It retails for $23. The Grove Bunch print also comes in a beaker, plate, bowl and fun food tray option. 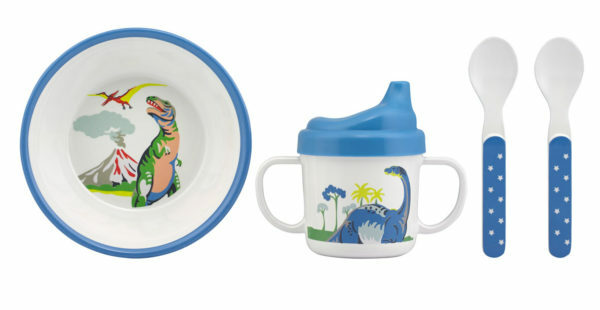 The Dino Melamine Nursery Set (above and below) includes a bowl, sippy cup and cutlery. Emblazoned with interesting dinosaurs, it’s also neatly gift-packaged and retails for $23. 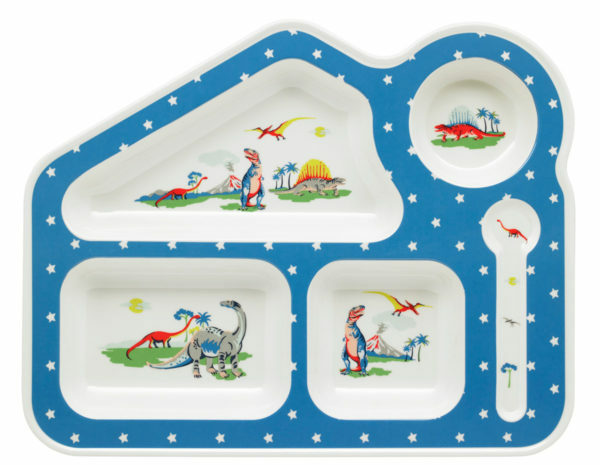 The Dino range comes in other styles too – a beaker, plate, bowl and fun food tray option! 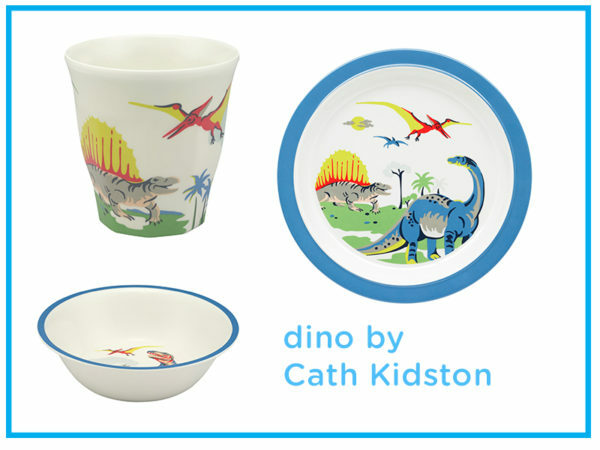 So no matter if you’ve got a little Dino-fan or a sneaky flower-picker on your hands, these cute plates and cups and things will have them heading into snack time feeling MUCH fancier – and maybe even more hungry too!